I have this thing for kitchen. I’d prefer my kitchen glow more than my room( it’s an exaggeration though but it’s true😂). As a child, I loved staying in an organized environment and when I’m in the opposite. I feel very uncomfortable. Good a thing, my parents are lovers of order. I love order. 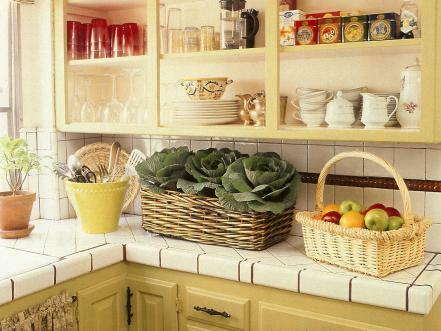 I love an arranged kitchen, I love things being in their places. A kitchen mustn’t be expensive to look beautiful. Yes! Funny enough, mist people have beautiful and heavy decorated kitchens but dirts won’t allow the beauty shine. Do you know that dirts spoil things faster? Most people think being organized and neat is a show- off of wealth but it’s not true. Keeping things well and neat helps for easy coordination. It makes things easier for one. You can move straight to where you kept a thing, pick it and continue with other things. I discovered that there are affordable kitchen utensils and decorating materials that can be very beautiful, other than parking spoons and other utensils anyhow, looking for a beautiful yet affordable racks, packs, hangers can do the magic. Most of these items are now in plastic forms, of course, they are affordable. I stumbled on beautiful pictures of kitchens. Happy viewing as you watch the pictures. You can get inspiration on how to rearrange your kitchen from the pictures. Feel free to share with me the design you’d rather go with for your kitchen. I prefer the third design. Let me hear yours. Awww.. Nice taste but I love the very first design. The second to the last kitchen design is much more Naija. I like it kind of. It's so homely to me. It's really common in Naija. I love it though but prefer the first.